Puerto Natales is a popular destination in Chile for travelers who are planning to hike in Torres del Paine or Bernardo O'Higgins National Parks. The town has a good tourist infrastructure set up with plenty of travel agencies and a few trekking shops where you can buy last minute gear. Most people stop off in the town to pick up maps and travel information, buy supplies, and enjoy some restaurant quality food. The are a few good hostels and hospedajes around town where you can find an affordable room that is decent quality. Hostels also offer a more social setting where you can meet other backpackers and pick up some travel tips and suggestions. How much do hostels in Puerto Natales cost? The Singing Lamb Backpackers Hostel has quickly become a favorite hostel for budget travelers to the area. It's located in a large building that has been recently renovated. There's a full kitchen where you can prepare your own food or enjoy the breakfast that is made there every morning. You can also order meals off of the hostel's menu if you're not interested in preparing your own meal. The hostel also has security lockers, wi-fi, and comfortable beds. If you want to hang out with other travelers, there's a large living room area where you can chat or sit and read. There's also a ping pong table, a pool table, and four computers. The hostel staff can help you organize any number of activities or excursions. 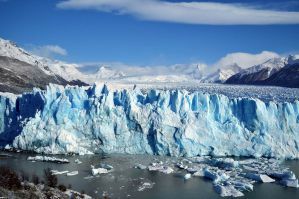 Whether you're interested in boat trips to the glaciers or a visit to a Patagonian estancia, the staff can help you coordinate the details. The hostel has twin private rooms as well as four, six, and nine bed dorms. 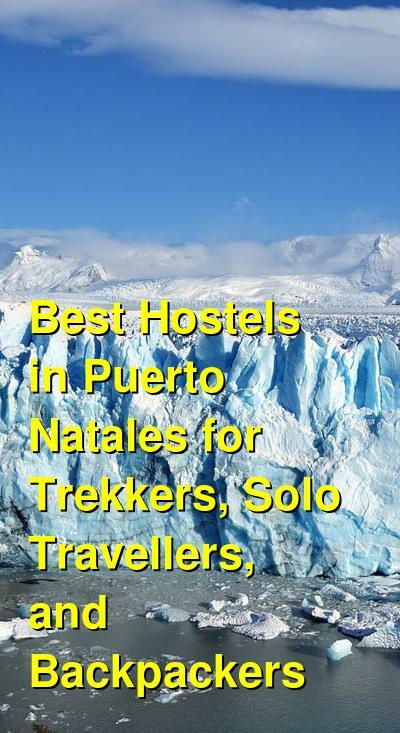 Hostel Last Hope is a favorite hostel for budget travelers to Puerto Natales. It's located about two blocks from the center of the city and is close to many small grocery stores, restaurants, and bars. The hostel has a relaxed and social atmosphere with several great places where guests can hang out. There's an outdoor terrace if you want to spend time outside, and there's an indoor common area where you can watch television. There are also board games that guests can use. The hostel offers free internet access and all kinds of travel information as well. A complimentary breakfast is served every morning. The hostel also has three dogs that live there, so if you have allergies you may want to stay somewhere else. The hostel has twin private beds as well as four and six bed dorms. A good hostel for solo travellers, backpackers, couples, and small groups. Hostal Lili-Patagonicos is another popular hostel in Puerto Natales. It's a fun place to stay that offers all of the standard amenities including free wi-fi throughout, laundry service, a luggage room, and a breakfast for an additional charge. The hostel staff can help you coordinate any activities that you might want to participate in. There can organize trekking trips to Torres del Paine and they can rent you any equipment that you might need to for the trip. Tents, stoves, etc are all available. The hostel has several common areas where guests can enjoy hanging out. There's a cosy living room where you can watch cable television and there's a shared kitchen where you can prepare your own meals. There are a variety of private rooms available including twins (both with and without en-suite bathrooms), doubles (both with and without en-suite bathrooms) and three bed rooms. There are also dorms that sleep up to five people. This is a fun place to stay where you're sure to meet other travelers from around the world. It has a friendly atmosphere and it's easy to hang around with the staff and other guests and swap travel stories of get travel advice.